When you hear this word, most people think of airline tickets, hotel rooms and rental cars. For those of us who do public speaking, “booking” a speaking engagement is common vernacular. These days, however, the word ushers in a completely new concept for me. Booking is not just a verb but a noun, a place you are taken immediately after being arrested. Every few minutes a police car pulls up to the station and drops more “criminals” off to be “booked.” It is a place packed with people and humming with activity. While the authorities are removing your handcuffs, they are asking you questions. While you are answering questions, everyone in booking is listening. It is at this point you come to terms with the reality that privacy is now a luxury you no longer have access to. As an avid people watcher, I found booking to be the ultimate place to observe human behavior. It was a place where I could stare at humanity in all its glory and get away with it. I took full advantage of this as I assumed (correctly) that staring would not be tolerated once I entered the general population part of the prison. Like a mall, booking was packed with people of all shapes and sizes. Like an airport, you are frisked and searched for dangerous items. Like the DMV, you sit around for hours (I was there for 8), going absolutely nowhere. Booking is the purgatory between crime and punishment. My handcuffs were apparently brand new as the officers had extreme difficulty removing them from my wrists. The first officer tried to remove them with his key. They simply would not open. Then another officer attempted (unsuccessfully) with the same key. Finally, a Sargeant came over and used his master-key to no avail. It went from being a simple, routine task to a challenging game. The more they tugged and pulled, the tighter the handcuffs became around my wrist. As I tried to remain anonymous and draw little attention to myself, everyone in booking (from cop to criminal) is staring at the man eternally bound in chains. So much for me getting through booking incognito. God, I remembered, never prefers His saints to be anonymous – especially during life’s trials. As I stood there, in chains, amused by this situation, three words entered my head. Odd words, I thought, as they settled into my conscience. What? I almost laughed out loud. The words were simultaneously a comfort to me as well as a challenge. They would become my silent, daily mantra for the next 93 days of captivity. After a solid 15 minutes of failed attempts to release me, another Sargeant brought out a giant bolt cutter. Needless to say, I was not excited to see this option. By now, the cuffs were so tight around my wrist that it would take the precision of a surgeon with a carefully wielded scalpel to remove these things without injury. Unfortunately, a surgeon or scalpel were not present but rather a bulky 250lb officer with the dexterity of a small Hippo. This guy is going to cut me free with a giant bolt cutter a few centimeters from my radial artery?? I began to question the command. Did God say bloom or bleed? Maybe I heard Him wrong!? Maybe it wasn’t His voice at all! Nervously, I made a few jokes, got everyone in earshot laughing, and the cuffs were finally removed from my wrists, without incident. For the next few hours, I found myself having numerous conversations with my fellow convicts as we sat in the “holding tank,” waiting to be processed. One guy told me about the last time he was in jail and how he was jumped by three men. Not exactly the kind of story I wanted to hear just minutes into my first “rodeo.” Another inmate told me the details of his arrest and the brief pursuit prior to his capture. I heard about previous crimes, previous arrests, previous stints in jail. The stories in jail are as endless as they are entertaining. Each night it was like listening to a different bedtime story shared by Jack the Ripper. It’s the equivalent of hearing a ghost story at night in a haunted house. It’s hard to get a good night’s sleep when your cell is less than 20 feet from a convicted murderer. As I served my time in one of the most depressing places on earth, I came to realize (first-hand) how possible it is to thrive in an environment that is capable of destroying you. Jail is society’s ultimate rejection. It is the place where the law and its enforcing court deems you unfit to live among everyone else. Simply punitive, there is nothing restorative about being “locked up.” Whereas many inmates could use rehabilitation, prison isn’t designed for that. It simply separates you from the “good” and encourages you to develop a stronger bond with the “bad.” Three of my roommates were meth manufacturers who were more than willing to share their perfected recipes in case I wanted to start a new career. (I do not). One roommate was busted for a significant shoplifting ring at Wal-mart. He was quick to share his trade secrets with me. In fact, by the time I was done picking his brain on the operation, I felt fully confident that I too could rob the local Wal-mart if I wanted to. (I do not). If God wants us to bloom, why does He not just make all the conditions ideal for such growth to occur? No one plants a flower in rocky soil in the desert with the expectation of growth. If God wants us to succeed and “knows the plans He has for us, plans to prosper us and not to harm us, plans to give us a hope and a future” (Jeremiah 29:17) then WHY does He often place us in positions where blooming is the least likely thing to happen? How can He expect us to bloom with a cancer diagnosis, divorce papers and unemployment checks? How can we expect to grow to our potential when we are physically disabled, emotionally devastated and financially ruined? How are we supposed to thrive while dealing with flat tires, broken bones and eviction notices? Either He is an insensitive God who is impervious to our abilities and feelings, or He knows something about growth that we are quick to forget. Blooming, in God’s economy, has less to do with the soil in which you are planted and more to do with the Planter. 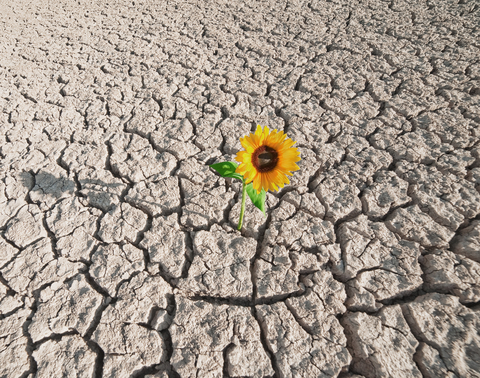 Blooming can occur in the harshest of conditions because the conditions do not create the bloom God desires. The condition of the garden does not matter. The conditioning of the Gardener does. As I served the Lord in jail, I realized I was a free man – much more free than many in the free world. God told me to bloom where I was planted and then, in His grace, enabled the bloom. How about you? Where are you planted? 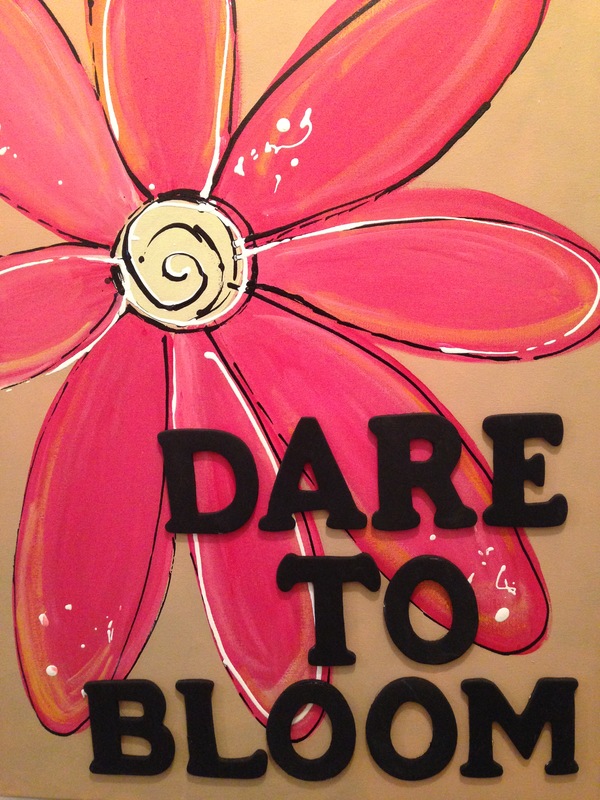 Are you blooming? If not, spend less time focused on the garden and more time focused on the Gardener. It’s the only way for you to bloom.